There are 34 trucks entered for the 32-truck field, but it’s a different cast of characters that will be arriving in Texas. Two teams will miss the race. Camden Murphy was set to climb aboard Jennifer Jo Cobb’s second truck for the first time since his entry was withdrawn last month in Las Vegas. He was to take the place of Ray Ciccarelli, who endured back-to-back DNQs in the following two rounds at Talladega and Martinsville. However, the team was withdrawn by Wednesday. 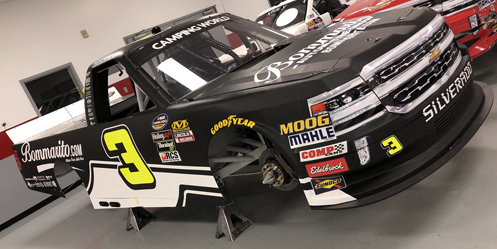 Fan favorite Jordan Anderson will carry a different look this week as his Bommarito Chevrolet will be a black truck in place of its traditional white, a chassis dubbed "007." After failing to qualify for the last three consecutive races and four of the last five, Norm Benning and his #6 are not even entered this week in Texas, the first time he hasn’t made the trip for a Truck Series race all season. This marks the first time Benning’s entry hasn’t been entered in a Truck Series race since the 2016 finale at Homestead, and the first time for the driver since the fall Martinsville race that same year. Reid Wilson brings his sponsorship from TruNorth to the All Out team, the third different truck he’s been entered in this season. He takes the place of Korbin Forrister, who ran all ten of All Out’s starts this season, including their most recent entry at Talladega, where he ran 15th. Codie Rohrbaugh rejoins the Truck Series for the first time since his series debut earlier this summer at Bristol, where he ran 16th. Then as now, he drives his own truck under the CR7 banner with Grant County Mulch as sponsor on his Chevrolet. Randy Young brings the #12 team back to the track and puts Tyler Young behind the wheel, his first entry since the spring race at the Texas track, where he ran a strong 7th in the team’s #20. The #20 remains in the hands of Tanner Thorson after brake trouble saddled the dirt tracker with a 31st-place finish in Martinsville. Mike Harmon makes a rare Truck Series start for a team not his own as he takes Brad Foy’s spot in Jay Robinson’s #15 Chevrolet. Foy finished 28th last week in his Truck Series debut. Harmon anticipates his seventh Truck Series start of the season and first since Mosport, where his own #74 finished 31st. Harmon has not been entered in the series since his team withdrew at Las Vegas. Cup Series veteran David Gilliland is back in the Truck Series for the first time since Talladega, taking Kyle Benjamin’s spot in the truck he owns. It will be David’s first Truck Series start at Texas since this same round in 2009, when he started 5th and finished 35th for ThorSport after early rear end trouble. Maury Gallagher’s team leaves the #23 team at the shop, leaving Timothy Peters without a ride this week. Peters ran 10th at Martinsville, two weeks after taking the checkers in Talladega. Following a rough outing for Chad Finley, who crashed early at Martinsville, Josh Reaume rejoins his team as both driver and ownerfor his first series start since Michigan back in June. 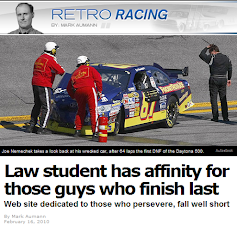 Reaume finished 25th in the series’ most recent trip to Texas earlier this year. NextGen makes the move from the K&N Pro Series – and a limited run in XFINITY – to join the Truck Series for the first time. Parker Kligerman to drive the #35 Inspectra Thermal Solutions Toyota, moving from the Henderson #75 team, which isn’t entered this week. UPDATE: Make that Brennan Poole, who returned to competition for opening practice in place of Kligerman in the #35. Poole has just one previous Truck Series start - 2015 at Las Vegas driving for GMS. Ross Chastain takes over for for Landon Huffman, who DNQ’d following an accident at Martinsville. Chastain is set to run a triple-header for the third time this season, combining his runs with JD Motorsports in XFINITY and Premium Motorsports in Cup (see below). Reed Sorenson pulls double-duty this week, taking D.J. Kennington’s place in the #49 SobrietyNation Chevrolet for Jay Robinson’s Premium Motorsports. Sorenson will run as Chastain’s teammate on the Cup side this Sunday (see below). Bo LeMastus rejoins the Truck Series for the first time since his accident at Talladega. He takes the place of Tyler Ankrum, who ran 18th in the #54 Toyota last week in Martinsville. LeMastus finished 26th at Texas earlier this year. Kyle Donahue earned a respectable 22nd-place finish last week in Martinsville, completing all the laps including Laps 60-63 in solidarity with team owner Mike Mittler’s battle with cancer. Unfortunately, both Donahue and team are not entered this week. Bayley Currey takes the place of Dawson Cram in D.J. Copp’s entry and will run double-duty with the XFINITY Series, where he continues to drive JP Motorsports’ #55 Toyota. Currey ran a season-best 16th in his most recent Truck Series start in Las Vegas, and is assured a start in the XFINITY race following a DNQ in Kansas. Joe Nemechek was originally scheduled to join his son John Hunter on the track as he brought out the #87 Chevrolet with sponsorship to be determined. However, Timmy Hill was swapped in by Wednesday with sponsorship from Fleetwing. Hill will join Ross Chastain in a bid to run all three races this weekend, combined with Motorsports Business Management's XFINITY and Cup efforts. Jesse Little is back and will run both Friday’s race and the Homestead finale with new sponsorship from Skuttle-Tight. It promises to be Little’s eighth Truck Series start of the season and his first since a 15th-place showing in Las Vegas. Matthew Miller’s MDM team isn’t entered this week, days after Chase Purdy earned a 21st-place run at Martinsville. Another team rejoining the circuit is Cory Roper’s effort in the #04 Preferred Industrial Contractors Inc. Ford. Roper eyes his first series start since Las Vegas, where a late-race crash left him 25th. The XFINITY Series returns to action after taking the Martinsville weekend off, and sees an entry list of 40 cars, down from the 43 last time out in Kansas. Ray Black, Jr. in for Jairo Avila, Jr. Sponsorship will come from ISOKERN Fireplaces & Chimneys. It will be Black’s 10th XFINITY start of the season and first since he carried the ISOKERN brand to a 26th-place run on the Roval, a collaborative effort between McLeod and Mike Harmon. The rest of the McLeod lineup stays the same with Vinnie Miller in the #78 and Stephen Leicht is still entered in the #99. 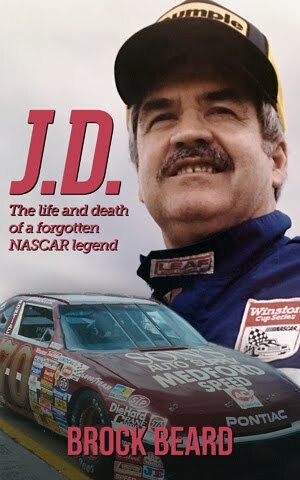 McLeod himself remains in the JD Motorsports #01. Max Tullman and his team closed out their 2018 schedule at Kansas, where they were unable to pass inspection in time to qualify. Driver and team are surely looking ahead to 2019 with plans still to be determined. The Sieg team will field three cars, down from the four at Kansas, leaving the #37 that debuted at Kansas. Yeley moves from the #37 back to his #38, taking the place of Angela Ruch, who isn’t entered. Jeff Green remains in the #93 while Ryan Sieg carries new sponsorship from the athletics department of East Texas Baptist University on the #39. Carl Long regains his seat in the #66 this week, following Bobby Dale Earnhardt’s solid 27th-place finish despite a fuel pump failure in Kansas. Long has made seven XFINITY starts in 2018, most recently at Dover, where he finished 36th in the #13. Timmy Hill remains driver of the #13 and will pull triple-duty in MBM’s #66 Cup car – likely a different chassis following a scary engine fire at Martinsville. UPDATE: Bobby Earnhardt is once again in the #66. Long will not race. Brandon Brown jumps in for Josh Williams, who ran 24th in Kansas. Texas also sees the return of the Coalition to Salute America’s Heroes sponsorship, which Brown ran to a 22nd-place run in his most recent series start at Dover. Chase Briscoe isn’t entered, and neither is the #98 team, following the disastrous first lap pileup at Kansas that eventually left him 30th. There are 41 drivers entered for 40 spots this week, meaning that one team will miss the show for the first time since earlier this month in Talladega. Texas will mark the end of Trevor Bayne’s fourth and final season in Roush-Fenway’s #6 Ford, which next year will be driven by Ryan Newman. AdvoCare Rehydrate will back the effort. Bayne takes the place of Matt Kenseth, who will return at Phoenox and Homestead, closing out the season and perhaps his career one full year after his final start with Joe Gibbs Racing. Reed Sorenson’s aforementioned double-header comes driving Jay Robinson’s #7 Chevrolet in place of Hermie Sadler, who suffered brake issues at Martinsville and left with his first last-place finish in the series since 2006. Sorenson has 18 previous Cup starts at Texas dating back to 2006 with a track-best 13th his first time out. J.J. Yeley remains in the #23 Toyota, and again brings on a new sponsor: truck accessory company Maximum Elevation Off-Road. Two Chevrolet teams shuffle their lineups this week, starting with XFINITY Series regular Joey Gase, who moves from the #00 at StarCom to Rick Ware Racing’s #51, replacing Jeb Burton, who isn’t entered. Donate Life Texas backs Gase's run in what will be a Ford in place of Martinsville's Chevrolet. It will be the 7th different Cup team Gase has driven for in only 30 series starts. Landon Cassill returns to his familiar #00, leaving open the #99 for the return of Kyle Weatherman. It will be Weatherman’s first Cup start at Texas. Cassill welcomes sponsorship from Brookshire Co. to celebrate the company's 90th anniversary. Corey LaJoie returns in place of Cole Whitt, who ran 24th in his final start of the season at Martinsville. A fan contest concluded over the team’s paint scheme at Texas with Gas Monkey Garage and Havoline, settling on a bright green paint scheme with the logo covering the car’s opera windows. Jeffrey Earnhardt was expected to drive last Sunday at Martinsville, but was swapped out for D.J. Kennington prior to the opening practice. 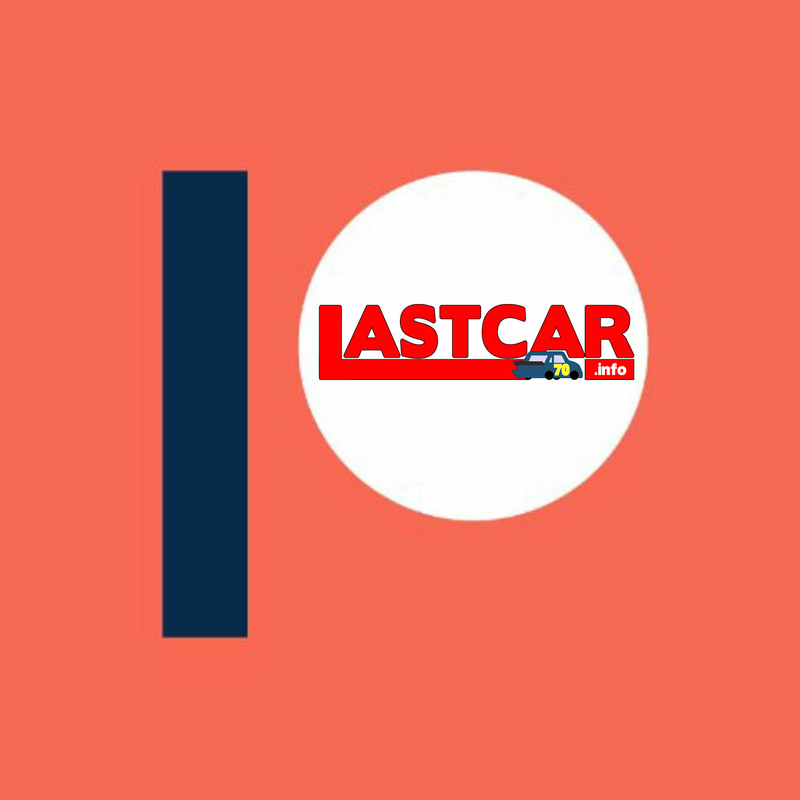 This week, the team is again digging into their 2018 lineup, putting Parker Kligerman behind the wheel. Kligerman hasn’t started a Cup race at Texas since the spring of 2014, when he ran 40th for the now-shuttered Swan Racing. Victor Obaika returns to try and get his team into a Cup race for the first time following their unsuccessful run with David Starr at Talladega. Starr is back and looks to break through at his home track. The incident that eliminated Timmy Hill from last Sunday’s race in Martinsville should have more likely been categorized as a “fire” rather than as a mere engine failure, as his Toyota erupted in flames headed down the backstretch. “Fire” has been the officially-listed reason for three last-place finishes, all of them in Cup. The most recent one came in the 1977 Daytona 500, where Bobby Wawak suffered severe burns to his hands after a fuel line came loose. The first of the other two occasions occurred August 22, 1956 at the Norfolk (Virginia) Speedway, where Joe Bll McGraw exited after 7 laps in his #14 1956 Ford. The other was on May 6, 1962 at the Concord (North Carolina) Speedway, where 1960 Cup Champion Rex White made it just one lap in his 1962 #4 Chevrolet. Always love reading your articles. 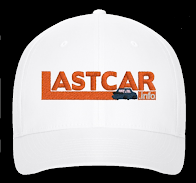 It's under "LastCar", but it is the only place I can find all the facts before and after the race. It helps me know who is changing rides and who is and isn't racing this weekend. After the race, you give a great recap of what happened. Thanks!!!! @Darrin - Thank you. I'm glad these weekend previews are earning a following of their own.